This text offers an introduction to quantum computing, with a special emphasis on basic quantum physics, experiment, and quantum devices. Unlike many other texts, which tend to emphasize algorithms, Quantum Computing without Magic explains the requisite quantum physics in some depth, and then explains the devices themselves. It is a book for readers who, having already encountered quantum algorithms, may ask, "Yes, I can see how the algebra does the trick, but how can we actually do it?" By explaining the details in the context of the topics covered, this book strips the subject of the "magic" with which it is so often cloaked. Quantum Computing without Magic covers the essential probability calculus; the qubit, its physics, manipulation and measurement, and how it can be implemented using superconducting electronics; quaternions and density operator formalism; unitary formalism and its application to Berry phase manipulation; the biqubit, the mysteries of entanglement, nonlocality, separability, biqubit classification, and the Schroedinger's Cat paradox; the controlled-NOT gate, its applications and implementations; and classical analogs of quantum devices and quantum processes. Quantum Computing without Magic can be used as a complementary text for physics and electronic engineering undergraduates studying quantum computing and basic quantum mechanics, or as an introduction and guide for electronic engineers, mathematicians, computer scientists, or scholars in these fields who are interested in quantum computing and how it might This book presents the state-of-the-art of Terahertz spectroscopy. It is a modern source for a beginners and researcher interested in THz spectroscopy. The basics and physical background of THz spectroscopy and technology are explained, and important applications are described. The book presents the highlights of scientific research in the field of THz science and provides an excellent overview of the field and future directions of research. 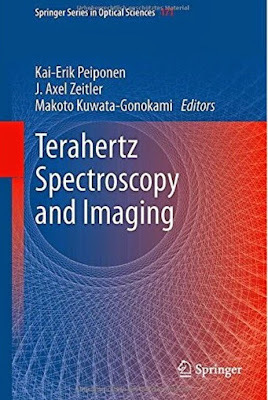 Over the last decade the field of terahertz spectroscopy has developed into one of the most rapidly growing fields of spectroscopy with large impact across a wide range of scientific disciplines. Due to substantial advances in femtosecond laser technology, terahertz time-domain spectroscopy (THz-TDS) has established itself as the dominant spectroscopic technique for experimental scientists interested in measurements in this frequency range. In solids and liquids terahertz radiation is at resonance with both phonon modes and hydrogen bonding modes which makes it an ideal tool to study the interaction between molecules in a unique way, thus opening a wealth of opportunities for research in physics, chemistry, biology, materials science and pharmaceuticals. 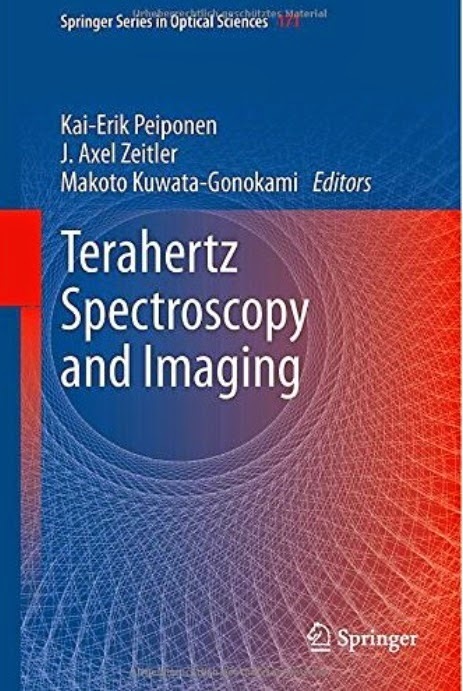 This book provides an easy access to scientists, engineers and students alike who want to understand the theory and applications of modern terahertz spectroscopy.fit into their research programs.